Creator Ryan Murphy has announced two actors that will be a part of American Horror Story Season 9 including that Emma Roberts will be back. 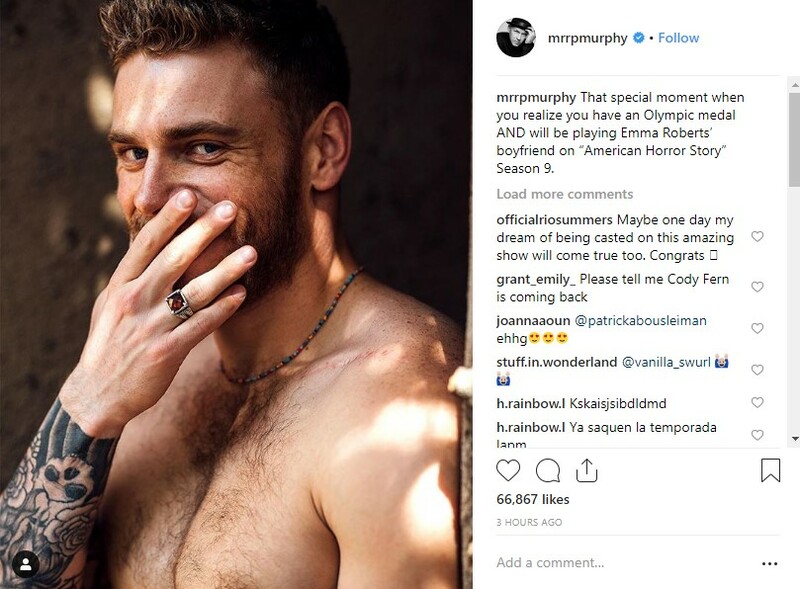 Murphy posted on Instagram that Olympic skier Gus Kenworthy will appear in the next season as the boyfriend to Emma Roberts. 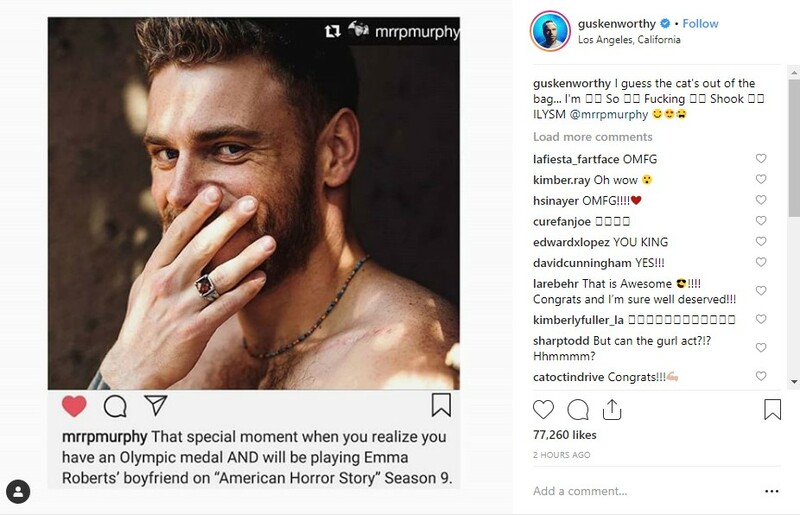 "That special moment when you realize you have an Olympic medal AND will be playing Emma Roberts’ boyfriend on American Horror Story Season 9." Murphy posted. Kenworthy also responded on Instagram. See below. "I guess the cat's out of the bag... I'm So F-cking Shook," Kenworthy said. No details are known about American Horror Story Season 9, but it will probably film this Summer and premiere in the Fall.